Manchester United have been offered the chance to make a late approach for Fred with Manchester City having seemingly dropped their interest. The Citizens have failed with a couple of bids for the Brazilian footballer, and they now appear to have turned their attention towards signing a new attacker. According to The Manchester Evening News, the Red Devils have a clear route towards the Shakhtar Donetsk midfielder with City having switched their focus towards a deadline-day move for Leicester City’s Riyad Mahrez, who has been earmarked as a potential replacement for the injured Leroy Sane. Fred, 24, has primarily featured in the central midfield role over the course of his career, and he could be seen as a long-term replacement for midfield duo Michael Carrick and Marouane Fellaini. Carrick is certain to retire from professional football at the end of the campaign whilst Fellaini has been reluctant to extend his contract beyond the summer. Nevertheless, United are comfortably placed with their midfield options for the current campaign, and it looks highly unlikely that Mourinho would sanction a significant sum for the Brazilian in a hurried purchase. Aside from Fred, United are also keeping tabs on Nice’s Jean Michael Seri and Borussia Dortmund’s Julian Weigl as they plan for the future. 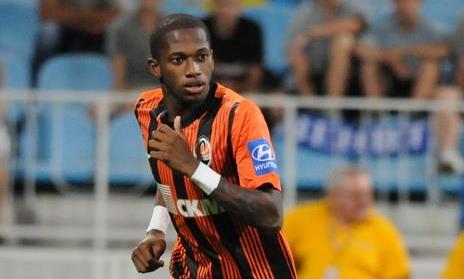 Reports from Express suggest that Fred is valued at around £50million(€57million). everyone is link to United, even me myself would like to play for United. will Jose recruit me?. Spurs game looming, few hours to go. pray we run away with 2 _ 1.